There are many situations in which a healthcare professional or a medical facility, such as a hospital, may be responsible for causing harm to a patient. But not all instances of patient harm are the result of negligence. An injured patient can only file a medical malpractice lawsuit in the event that the healthcare provider or hospital deviated from the accepted medical standard of care that the patients should have received. To say this another way, the patient must have received negligent or sub-optimal medical care that was less than the accepted medical standard of care for the particular circumstances of the situation. Medical malpractice claims are distinct from normal personal injury claims because the accepted medical standard of care can vary from one type of doctor to another. This is often confusing to patients because patients generally view doctors to all be competent medical care providers. Doctors all have to go to medical school, participate in residency programs, and they all have to pass Medical Board exams. How can the accepted medical standard of care vary from one doctor to another? The community in which the treatment is obtained. When it comes to determining the accepted medical standard of care, the courts compare what one doctor did to what another doctor in similar circumstances and with a similar level of experience would do given the same circumstances. This includes looking at what other doctors with similar training, experience, specialty and resources would have done in a similar situation. A highly-trained and experienced doctor at a technologically advanced hospital in a major metropolitan area like Houston, Texas (which is one of the leading areas in the country for advanced medical care), can be held to a different medical standard of care than a small-town general practitioner in a rural part of Nevada or California. There is a difference between obtaining an undesirable outcome and receiving negligent medical care. An undesirable outcome occurs when a doctor or hospital provides the accepted medical standard of care to the patient and yet the outcome of the treatment or procedure is suboptimal for one reason or another, but not due to any fault of the doctor or hospital. For example, the patient underwent surgery, and while the surgeon did everything as required by the accepted medical standard of care, the patient is not satisfied with the results of the surgery. On the other hand, negligent medical care is actionable. Any deviation from the accepted medical standard of care that results in injury to the patient can be grounds for a medical malpractice claim. It must be shown that a doctor-patient relationship existed, and that the doctor owed the accepted medical standard of care to the patient, and yet deviated from that standard of care (i.e., breached the duty of care owed to the patient). The breach of the duty of care must result in actual harm to the patient for which damages can be sought. 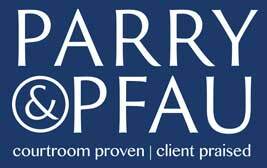 If you or a loved one has been injured by a healthcare provider, you should contact the professionals at Parry & Pfau to discuss whether you can file a medical malpractice claim. Let us schedule a free consultation with you today. Newer PostWhen GPS Directions Land You in an Accident, Who is Liable? Older PostIs an Electronic Signature (E-Signature) on a Contract Valid in Nevada?